State College is an outdoors kind of town and there’s no denying we love it here. We’ve shared some of the businesses, places, and people that make our corner of Central Pennsylvania so awesome in the space below. Appalachian Outdoors: The local outfitter with all the gear you need for your adventures. PSOC members receive a 10% discount on purchases. Tussey Mountain Outfitters: The local outfitter for all your on water adventures. 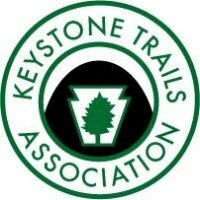 Located in Bellefonte, PA, next to Sunnyside Slalom Course, TMO sells kayaks, canoes, accessories, rentals, and shuttles. PSOC members receive a 10% discount on purchases. ORION and VEGA Wilderness Orientation Programs: For all you incoming freshman, hop on this class before it fills up. Start your college career backpacking in the mountains, meet some awesome people (PSOCers are often trip leaders), and earn General Education credits. Shaver’s Creek Environmental Center: They’ve got trails, facilities, ropes courses, a new lake and raptors out there. Go check out Penn State’s environmental center.